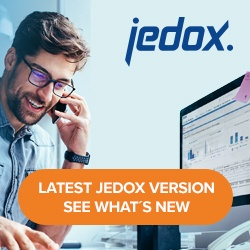 A dimension can be extracted from a Jedox OLAP database using the Dimension extract. The extract creates a tree. Default Language Attributes are extracted. If several languages are defined in the database only values of the default language are extracted. A query filter on the dimension allows filtering according to the name of elements and the hierarchy. Filters the dimension elements according to a global subset for the dimension. If the subset contains variables, values for these variables have to be defined in the filter. Defines a hierarchical filter for the dimension. If not set the default mode “onlyNodes” is applied which returns only the filtered elements independently of the hierarchy. In case of a global subset filter, a mode is in general not reasonable. Based on the selected element, this element and the elements above and below are filtered. All parents and their respective parents are filtered, including the selected elements. Only consolidated elements above the selected element are filtered. All bases under this value are filtered, including the parent element. Only the bases are filtered based on the element selected. onlyNodes Only the selected element is filtered (nodal point). Only the element from the highest level of the hierarchy is filtered based on the selected element.